Paperback, 8 x 10.5 in. / 644 pgs / illustrated throughout. Edited by Jan van Adrichem, Adi Martis. Text by Carel Blotkamp, Jeroen Boomgaard, Christopher Green, Patrick Elliot, Rick Poynor, Anne Rorimer, James H. Rubin, et al. 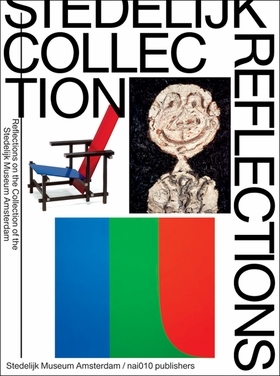 Stedelijk Collection Reflections is published to mark the much-anticipated reopening of the Stedelijk Museum in Amsterdam after an eight-year renovation that also saw it gain a daringly designed new wing, affectionately nicknamed “The Bathtub.” This massive (644-page) publication features 43 fully illustrated essays on the Museum’s famous collection, and thereby provides an overview of over 150 years of international developments in the applied and visual arts, photography, and graphic and industrial design. The contributors--renowned Dutch and international specialists--discuss specific works and significant themes in the collection in detail, and each essay offers a new perspective on important and influential artists, designers or movements. Together, the essays make clear how the special character of the Stedelijk collection--which ranges from Monet, Cézanne and Van Gogh to Gilbert & George and Tracey Emin--has evolved over the years. FORMAT: Pbk, 8 x 10.5 in. / 644 pgs / illustrated throughout.